The most cringe-worthy sentence to any experienced wedding vendor is, “my friend is actually DJing my wedding”. Yikes. When an inexperienced friend DJs your wedding, you’re most likely going to save money, but it could be at the expense of an amazing evening. DJs are the reason wedding receptions sink or swim, and here are a few reasons you should consider a professional DJ..
First off, a DJ is responsible for running the show all night long, including equipment and lighting set-up to the toasts, cake cutting, first dances, etc. Without a professionally trained wedding DJ, you may end up with someone who just enjoys music and is inexperienced in running a wedding. Honestly they may be completely unaware their responsibilities go far beyond just playing great music! 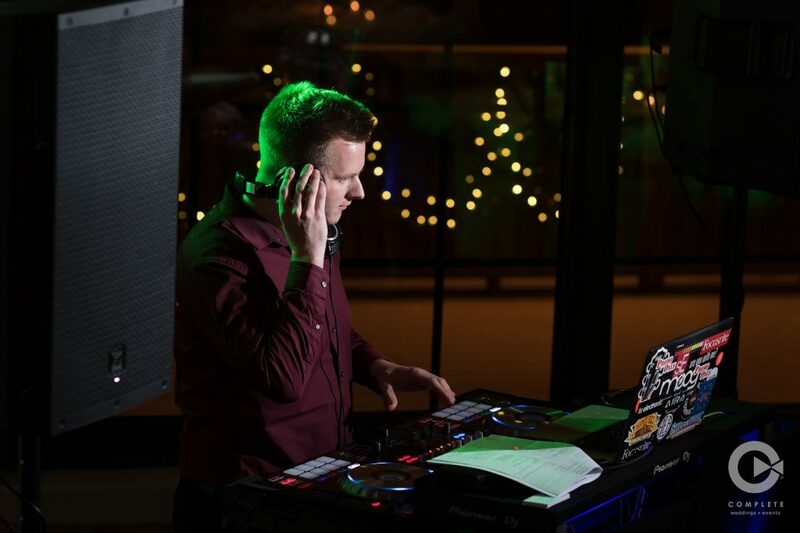 Professional wedding DJs know how to run the entire reception smoothly and will make sure the night you planned goes exactly how you envisioned. Along with running the order of events, a DJ must command a room so all your guests are on the same page in order to keep the night moving the way it was planned. By not knowing how to take control of a wedding reception, a DJ will likely end up shoveling off the responsibility of running things over to the bride and groom. It is, after all, the bride and groom’s reception, and if the DJ who was paid to do it can’t perform, then the pressure is put on the married couple to keep dinner lines, speeches, and first dances moving. Medical emergencies, power outages, mix ups with wedding vendors, uninvited guests… There still is no way to make wedding days immune to the accidents and craziness life throws at us. An experienced, professional DJ has been through many unfortunate situations and can power through any event with ease. This not only keeps you calm, but most of your guests won’t even notice when you have calm, confident vendors moving things right along. If you get a bad cake, you have a bad cake, but if you get a bad wedding DJ, you have a bad reception. It’s well worth the money to get a good DJ, and make sure your wedding reception is the best you could imagine it to be! Get more info on the COMPLETE weddings + events DJ team, and see if we’re available for your big day here! Complete Weddings + Events, Charleston’s leading provider of event and wedding photography, videography, lighting, DJ services, coordination & photo booth rental.